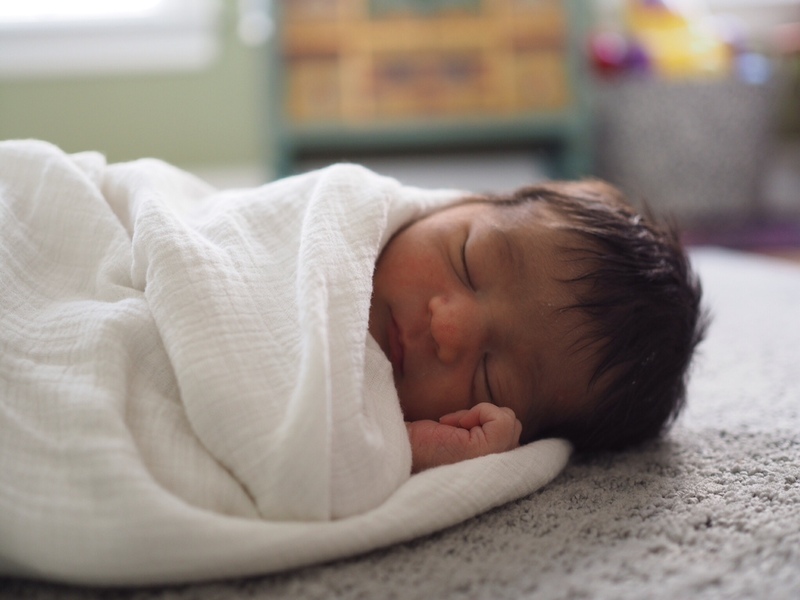 The WellMom blog has been a little quiet for the past few weeks, owing to the arrival of our second second child on July 12! Today I thought I’d share our birth story with you. 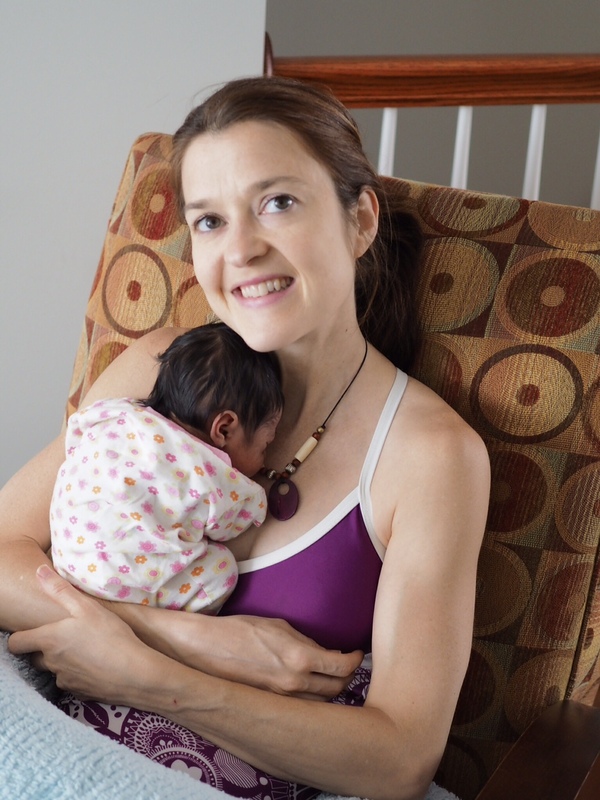 My due date was July 21, so I was surprised to find myself feeling unusual contractions around 11:30 pm on Saturday, July 11. I was getting ready for bed when I noticed that the Braxton Hicks contractions that I had become so accustomed to feeling were coming with much greater frequency. However, they had no discernible pattern, with some as many as five minutes apart and others as few as two minutes apart. Flummoxed, I called my doula. “Could it be false labor?” I asked. She was likewise mystified, yet we both remembered how quickly my labor progressed with my first daughter, Siyona, and neither one of us wanted to wait too long and me give birth on the side of the road en route to the hospital! I telephoned the midwife on call at the hospital to seek her advice. She said it sounded like early labor but left it to me to decide if I wanted to come in right away or labor at home for a bit longer. While Neil (loving husband) and I talked it over, the intensity of contractions began to pick up, so we decided to go in. We called a good friend to come over and sleep on the couch and be there in the morning to care for Siyona; when he arrived, we were off. We spent just 36 hours in the hospital, just long enough to finally decide on a name for our beautiful baby girl: Lily. For the past three weeks, we’ve been adjusting to life as a family of four. Help from family and friends has greatly aided the transition. I’ve been amazed at my pace of recovery. I was almost feeling back to my old self when we checked out of the hospital! I attribute this to a combination of good genes (thanks, Mom and Dad!) and staying active throughout my pregnancy. Here are some pictures of me and my girls during our first week together. Enjoy! Taken very shortly after birth. Me and my girls at the hospital. Siyona may look thrilled to be a big sister, but this was moments before she started pushing Lily away saying, “Off!” My hand is there to catch Lily! Me and Lily at home.